This is a square His Master’s Voice porcelain sign. 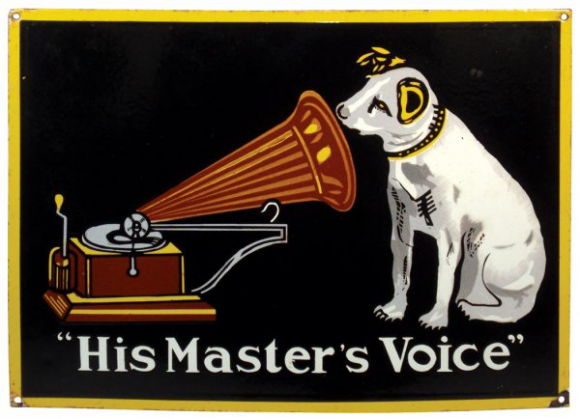 This particular His Master’s Voice sign features a white dog listening to a brown record player against a black background. It reads, “His Master’s Voice”.